"I’m not just a producer – I’m a director too”. The debut album from Naughty Boy features Emeli Sande, Professor Green, Sam Smith, Wretch, Ed Sheeran, Gabrielle, Wiley and, well, loads and loads of other people. No stranger to this blog, the 28 year-old from Watford born Shahid Khan, has worked with Emeli Sande, Wiley, Chipmunk, Tinie, Professor Green, Leona Lewis, Cheryl Cole, Susan Boyle and, if rumours are to be believed everyone from Britney to Mariah. 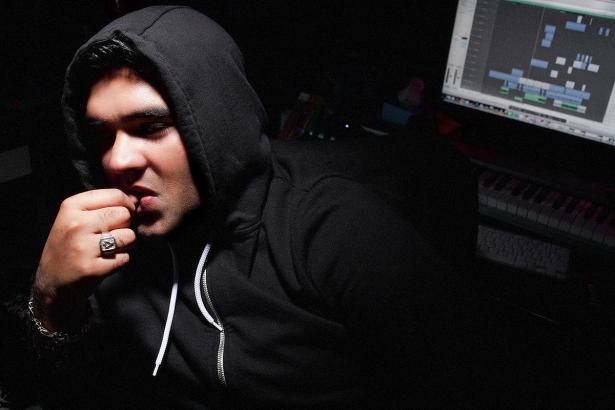 Over the last 24 months, Naughty Boy has become one of the UK’s most sought-after sound creators. With a distinctive, epic feel to his compositions, he was won the acclaim of Simon Cowell who called Naughty a “musical genius”, while his power as a producer and songwriter has ensured a hitlist of superstars will appear on his forthcoming debut album, ‘Hotel Cabana’. The single has already spawned two massive hits: Wonder Ft. his buddy Sande and the recent No.1 La, La, La with Sam Smith. Expectations then are high for the unassuming musician's debut.